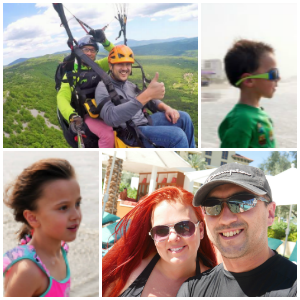 *Mamas Spot's Travel Week* Camping With KOA: Not What You Would Expect! We realized at the end of August that we wanted to end the summer on a bang! We decided to head to Yellowstone and we stayed with KOA. We went in September which was great to miss all the crowds that would normally be there mid summer, but it also meant we missed some of the events that the KOA has before Labor Day. I would highly recommend getting there around late August, so you don't miss out on their pancake breakfast every morning and their BBQ dinner every night! You can't beat being fed 2 meals a day! They also have a Coffee Cabin so you can get your morning fix! 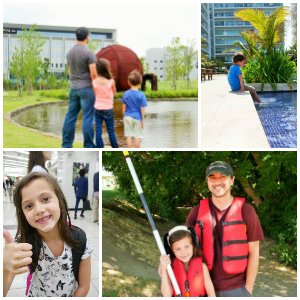 My husband thought KOA was just a well managed campground, so he was surprised to see that they are so much more! We found ourselves building a fire most nights, and our clothes would reek of smoke. Here is where KOA swoops in and saves the day. I would take all our clothes and wash them with the washer and dryers they have on-site! No more smelling like campfire smoke or going through a ton of clothes. You can pack much lighter when you camp with KOA because you can wash all you clothes just like you would if you were at home. Kiddos make a mess on their clothes? No problem just toss them in the wash! We had a couple of "s'mores drippings" all over shirts that would have ruined clothes if I hadn't been able to wash them right away. Just for that alone I will always choose KOA! If you are not a mom with kiddos, and aren't obsessed with needing to wash clothes, don't worry KOA West Yellowstone has so much more to offer! :: Tax Free Shopping - this might now seem like much of a perk, but trust me it is! They provide activities including ice cream socials, scavenger hunts, and s'mores. "There is something going on every other night". How awesome is that!! Why would you ever want to go to a boring normal campsite ever again? KOA can give you the Great Outdoors during the day and make you feel like you never left home at night. Being at a KOA is so much more than just camping, it's temporarily being part of a small community that is non-stop fun. Where else can you go camping where you have a full staff that is willing to help you with anything you need. 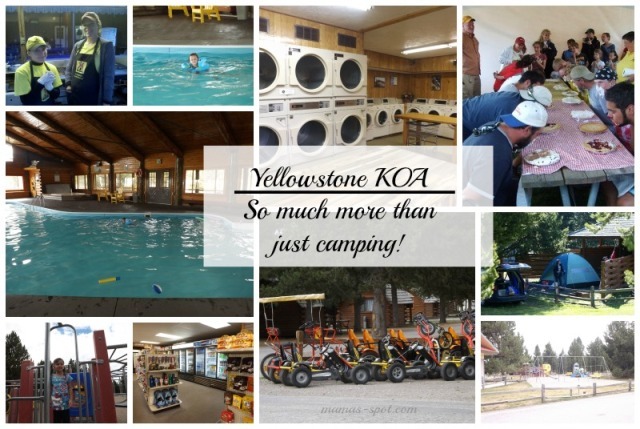 There are 3 ways to stay at the Yellowstone KOA, you can reserve an RV spot, a tent spot or a cabin. We had an RV, but we also wanted to give an in-depth look at what it is like to use one of their cabins. To be completely honest I wasn't expecting the cabins to be that great since you are out in the wilderness, but it turns out I was wrong. The first thing you notice upon arriving at your cabin is the cute little swing on your front porch. Maybe we are just easily entertained, but our whole family loved this! lol (Most of the RV sites have a swing too) We had a 2 room cabin and it had tons of space! The kitchen came with a stove, mini fridge, microwave and sink, everything you need to cook all your meals there if you want and save some major $$$. It also had a nice sized kitchen table; great for playing cards or just to sit down to have a meal. Each cabin also has an outdoor picnic table so you can enjoy eating outdoors as well. It had a shower, outlets, and everything else you would need to feel right at home. As you can tell by the picture above my mother (who was with us) was able to have all her necessary items to get ready in the morning. She had plenty of room for her blow dryer, curling iron and more. That's definitely stuff you normally can't bring with you when enjoying the great outdoors. Even if you stay on one of their tent sites you will have access to onsite showers, so you can look your best even when tent camping! 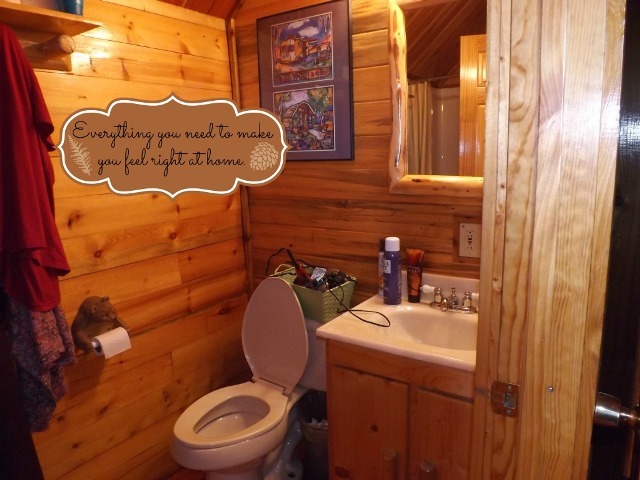 We usually limit our camping trips to a few days because we desperately need a shower by then, but we could definitely go for at least a week at a KOA! If your kiddos are like mine and after day 1 of camping they have a nice layer of dirt covering them, then you will be so grateful to have those showers. We also had an RV spot which doesn't require much you just need some hookups for power (which some campgrounds don't even give you that) but Yellowstone KOA goes above and beyond by providing a nice patio area with a table, swing and firepit. Plus big beautiful trees! We look at a lot of other campgrounds in Yellowstone and they gave you a dirt spot to park your RV on and that was about it! As we drove by a few of them on our way through the park I couldn't understand why you would want to stay at them. They were expensive and had nothing to offer guest. Definitely not where I would want to stay. As soon as we walked into the main building to check in we were immediately greeted with smiles. They gave us a map and made sure we knew exactly where everything was, then when we left the building to head to our site, we were asked if we needed any assistance getting to it. That is amazing service! We went camping back in August at a "run of the mill" campground and when we asked where our site was the lady pointed and said "off that way". At that point I knew KOA was going to be very different than any campground we had visited before, and our family would be KOA campers for life. 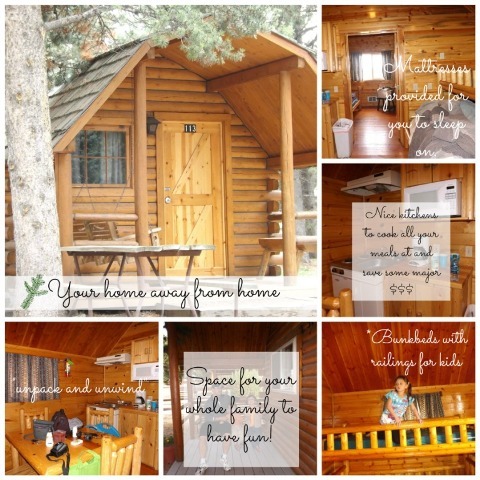 Yellowstone KOA is family owned by the Linde family and they are dedicated to make sure you have a fantastic stay! If you are planning on visiting Yellowstone next summer be sure to give the Linde family a call and let them know you are coming! And if you are interested in camping the fun and awesome way be sure to check out the KOA Value Kard for more great savings! Thank you Yellowstone KOA for an amazing end to our summer!